Ilya Kaminsky reads from Dark Elderberry Branch: Poems of Marina Tsvetaeva. ; Jean Valentine reads from Dark Elderberry Branch: Poems of Marina Tsvetaeva. ; Christian Wiman discusses Stolen Air: Selected Poems of Osip Mandelstam. James Tracy reads from Hillbilly Nationalist, Urban Race Rebels, and Black Power: Community Organizing in Revolutionary Times. 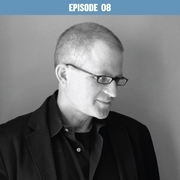 Christian Wiman is currently considered a "single author." If one or more works are by a distinct, homonymous authors, go ahead and split the author. Christian Wiman is composed of 13 names. You can examine and separate out names.